I use two of the other plugins for my site and love them, this is a great idea and a no brainer to get. Your WP Plugins Rock! I’m pretty sure I have them all! –and use them..on all my sites! Thanks and I’ll be picking it up! Social signals are a huge part of SEO these days. And it’s nearly impossible for most Amazon affiliates to get legitimate likes and tweets for their pages. Product reviews and product listings are just not the kind of thing people share. 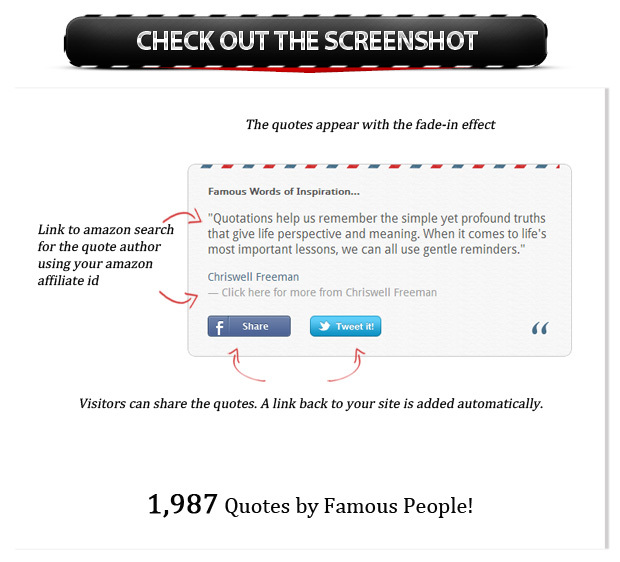 But quotes… man people love to share quotes. 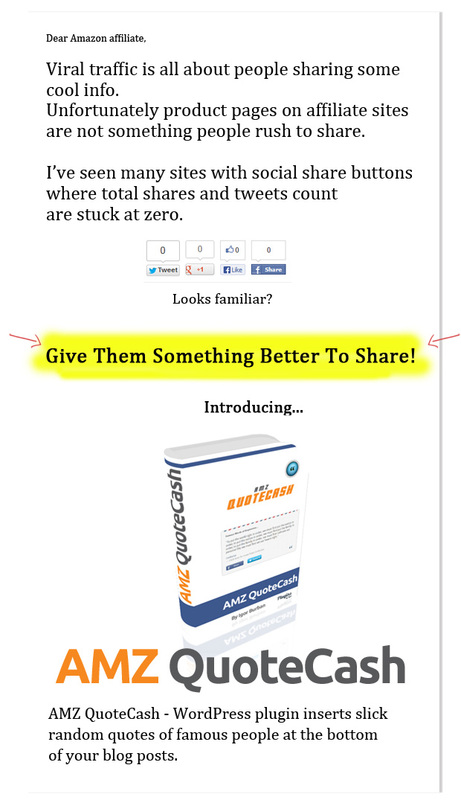 This is an ingenious way to get those social signals for your site that will lead to higher rankings. Plus, it’s an additional method of monetization that you can add to your site without making it look spammy. And remember, regardless of the content that the visitor clicks on, you get paid for everything they buy on Amazon for the next 24 hours. This is really an ingenious plugin and would be great for any Amazon affiliate site in any niche.